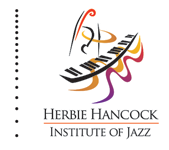 In an unprecedented series of events worldwide, the United Nations Educational, Scientific and Cultural Organization (UNESCO) and the Thelonious Monk Institute of Jazz joined together to celebrate jazz as a universal language of freedom on April 30th. With events taking place in every country on the planet, International Jazz Day 2014 culminated in an evening concert in Osaka, Japan, this year’s Global Host City. This All-Star Concert, held in Osaka Castle Park, was broadcast to millions around the world and featured performances by Toshiko Akiyoshi, John Beasley (Musical Director), Kris Bowers, Dee Dee Bridgewater, Jonathan Butler, Terri Lyne Carrington, Theo Croker, Sheila E., Pete Escovedo, Roberta Gambarini, Kenny Garrett, James Genus, Shuichi Hidano with TAIKO Masters, Roy Hargrove, Lalah Hathaway, Terumasa Hino, Chris Thomas King, Earl Klugh, Takuya Kuroda, Marcus Miller, T.S. Monk, Makoto Ozone, Courtney Pine, Gregory Porter, Troy Roberts, Claudio Roditi, Oumou Sangaré, John Scofield, Wayne Shorter, Esperanza Spalding, Lew Tabackin, Steve Turre, Joe Louis Walker and Dionne Warwick. The concert was streamed worldwide via the UNESCO, jazzday.com, U.S. Department of State, and Thelonious Monk Institute of Jazz websites. International Jazz Day pays tribute to jazz and its diplomatic role of uniting people in all corners of the globe. This year’s events took place in all 196 United Nations and UNESCO Member States along with all 50 U.S. states. From Syria, Ukraine and the Central African Republic to Venezuela, Iceland, and the Philippines, thousands of events took place on all seven continents, including McMurdo and Palmer research stations in Antarctica. Beyond planet earth, the crew from the International Space Station sent a special message for peace and goodwill to all nations celebrating International Jazz Day. 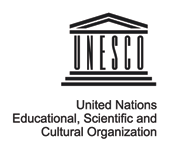 International Jazz Day was adopted by UNESCO Member States on the initiative of UNESCO Goodwill Ambassador Herbie Hancock, in order to encourage and highlight jazz’s unique power for advancing intercultural dialogue and understanding across the world. 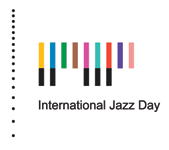 International Jazz Day is recognized on the official calendars of UNESCO and the United Nations.